Happy people naturally reinterpret events so that they preserve their self-esteem. Optimists are those who retain a sense of hope for the future and interpret life events in a positive way. One example, my friend and her parents went to a fancy pizza place, the food was great, but as she got home she had stomach problems. Later her father read her blog and was mocking her that she wrote it was a great dinner. My friend told him that to her the fact that she went out with her dear parents (both alive) to a very nice place and had a very tasty dinner outweighs that fact that she had stomach problems. That last part just wasn’t important enough to spoil her memory of that day. Positive thinking is a mindset in which you recognize your blessings more than you pay attention to daily hassles. Research on subjective well-being and other psychological topics confirms that happiness is, to some degree, in your head. Not only it is easier to change attitude that it is to change your address, level of education or income, a shift toward positive thinking can often lead to more gains in happiness than a change of life circumstances. This is a big difference – focus not on how much you lose but on how much you have left. 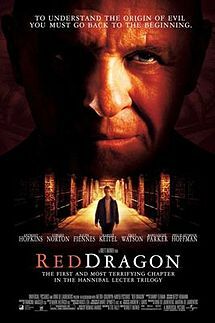 The other night after watching Red Dragon movie I thought about the blind girl in it. I imagined her living her life being blind and realized how much more we (not blind) can do now with our lives and how grateful we should be for it. New research shows that with a little mental effort, recalling good events from the past can boost well-being. Psychologists have begun studying “savoring”, the process of active enjoyment of the present and of using active appreciation to enjoy a past success. Subjects are asked to spend some time reminiscing about a specific past event in a positive way, who report feeling happier. Where we focus our attention has been shown to have a direct bearing on happiness. In research by Sonja Lyubomirsky, it was noticed that unhappy people had the tendency to ruminate on their own failings and character flaws. How did looking inward vs outward affect people’s moods? They found that focusing attention on oneself could make even happy people unhappy, and that directing attention away from the self had the power to make even unhappy people happier!!! Of course, some amount of self-reflection is probably healthy, even if it means small bouts of sadness or worry. But too much attention focused inwardly seems to drag down happiness over the long run.